Bioidentical hornones are hormones (or the use thereof in hormone therapy) that are identical on a molecular level with endogenous hormones in hormone replacement therapy. In essence they are identical to the natural hormones produced within the human body. Some doctors use them exclusively in providing patients with Hormone Replacement Therapy (HRT). 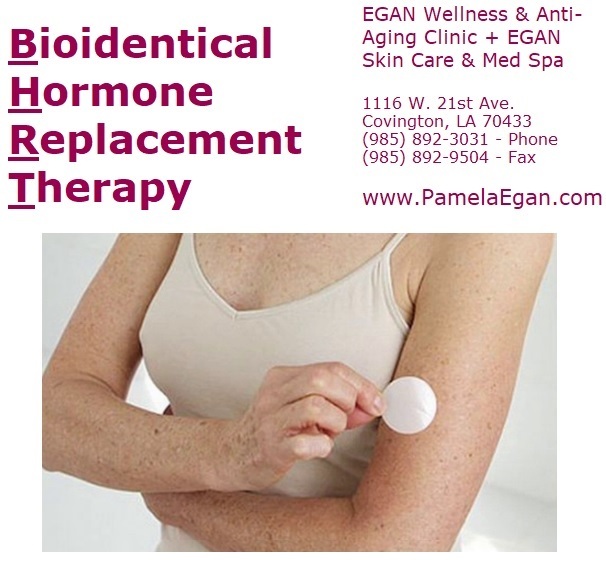 Some, like Dr. Egan, encourage bioidentical, explain the risks and benefits of each (bioidentical versus synthetic hormones used in HRT) and allow the patient to make their own decision in the event they have a strong preference that in their minds overrides their doctor’s advice. Synthetic HRT has been shown to help relieve menopause symptoms in women and elevate make hormone levels that have dipped in age in men as they age such that the man’s levels falls within ranges defined by medical science as being “normal.” If normal ranges are exceeded, the doctor should adjust the dosage of the hormone being administered. This is true be it testosterone, a form of estrogen, DHEA, progesterone, or vitamin D, which acts like a hormone and has been linked scientifically to testosterone levels in men (men with higher vitamin D had higher testosterone on average in the study). The (now, pending further research) fact that bioidentical hormones are superior to synthetic hormones, at least in women has rendered statements like this one I pulled from Wikipedia false and obsolete. However, at least in women and synthetic estrogen and estro-related hormones, the synthetic form produced adverse health effects not present in the women being administered bioidentical hormone replacement therapy. This according to Dr. Pamela Egan, DNP, CDE, who recently finished presenting her findings to the Louisiana Department of Health and Hospitals and Board of Medicine. The clinical trial, its abstract and whatever related data is available will be published on Dr. Egan’s website once whichever clinical publication first publishes Egan’s findings’ right to publish exclusively expires. Until then, once it is presented to a medical journal, we know which month’s addition will contain the findings, we will post a link to the study on the website of the medical journal once Dr. Egan has determined which publication would have the most appropriate demographic to serve such content. In the above video, Dr. Egan goes into detail about her groundbreaking research into bioidentical hormone replacement therapy. That said, obviously trying to describe a Emulti-year study in five minutes will result in some fairly important details will be overlooked. We’ll post a link to Dr. Egan’s site as well as to this description once the clinical trial has been formally published. To Dr. Egan’s left is her eldest son, Peter Egan. 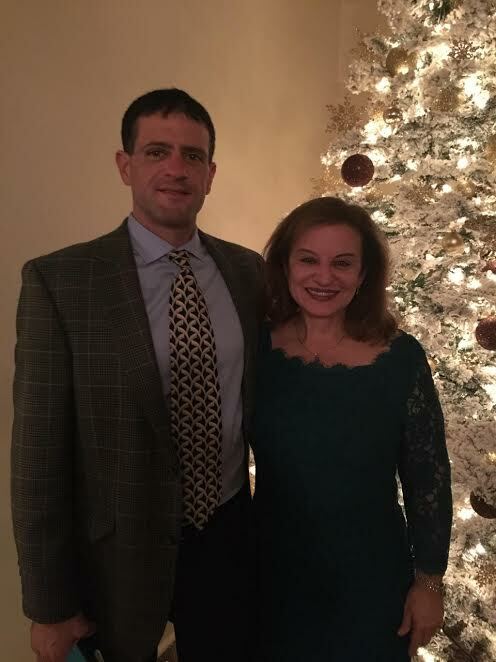 They have been mistaken for being a couple on numerous occasions, and close to the same percentage who can tell Peter is Pam’s son. Dr. Egan doesn’t adhere to group-think largely determined by the opinion of peers, and which can form on a number of different bases. She refrains from forming an opinion about topics which have not been researched, and will not make a recommendation unless she’s 100% sure she’s right. The fact that on numerous occasions she’s been over a decade ahead of her peers and medical science in general is so astounding it’s almost surreal. At one point she was threatened by some bureaucrat from the government over a claim made on her website which she hadn’t even written much less read. The author typed what he believed to be true, and it’s easy to see how an entry-level employee could foresee the obvious conclusion and speak of it as though it were fact as opposed to her theory (whereas Dr. Pamela Egan wouldn’t state as fact anything she couldn’t support as fact, even if she knew it to be true). The funny thing is, the wording that nearly got her into trouble turned out to not only be true, but to be scientifically determined to be so in a study on which she was the lead researcher.